To evaluate Chemistry and Society even in historical times, let's use these 5 steps. 1. What did people want that chemistry could solve? 2. What was presented (unveiled) as the solution to the problem? 3. What were the future consequences both positive and negative of the solution? 4. What was the history behind the solution both positive and negative? 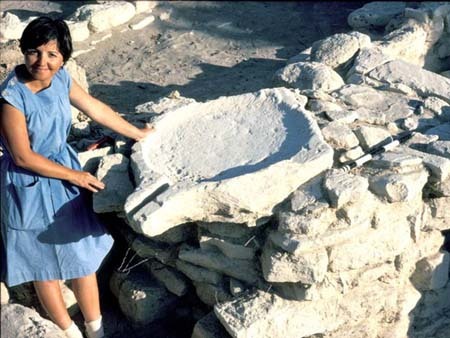 Stone tool technology allowed for the killing of large game and pottery solved the problem of storing food in a weather and pest proof container; however, the food itself could spoil because of microbes in the food. People wanted ways of extending the storage life of foods. Various methods were discovered and presented that would increase the storage life of food. Let's look at the majority of them starting with the simplest. Cooking was one of the best ways to reduce spoilage. Cooking kills bacteria and dries the food making the food less suitable for bacteria to grow. Additional drying with the sun and air would improve the life of food. 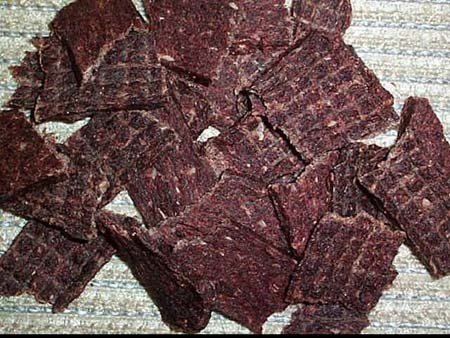 Here is beef jerky, which lasts quite a long time due to its dryness and salt content. Exposing to smoke also dried and preserved meat and fish. Meats and other foods packed in salt will dry the food and kill microbes as well. 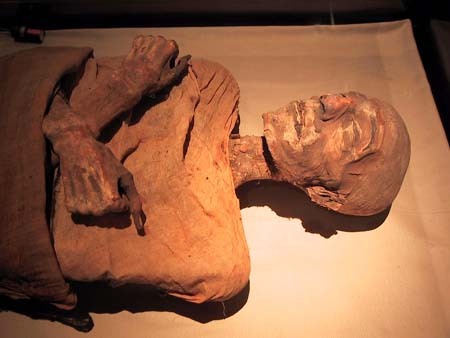 For the same reason part of the preservation of mummies was to spend a few weeks packed in salt. Even though meat and fish packed in salt last a long time, when it comes time to eat it, it is a good idea to soak the food to extract and discard the extra salt. When we think of buying fish, we expect them to be frozen, chilled, or on ice. 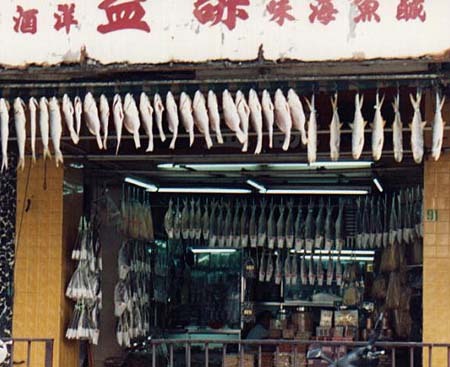 In China, the fish are dried and then just hung up. When grapes are sun dried, they become raisins, which last quite awhile. 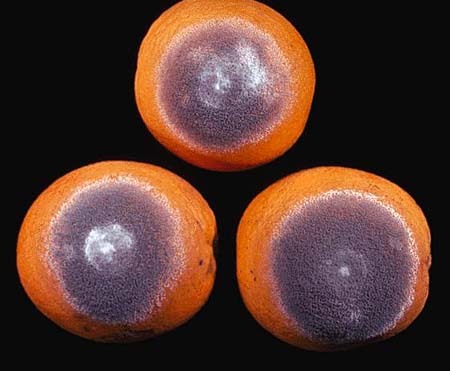 If not dried, they will develop mold. Milk as you know spoils quickly; however, if it is separated into butter, cream, water, and milk solids (powdered milk), it lasts longer. 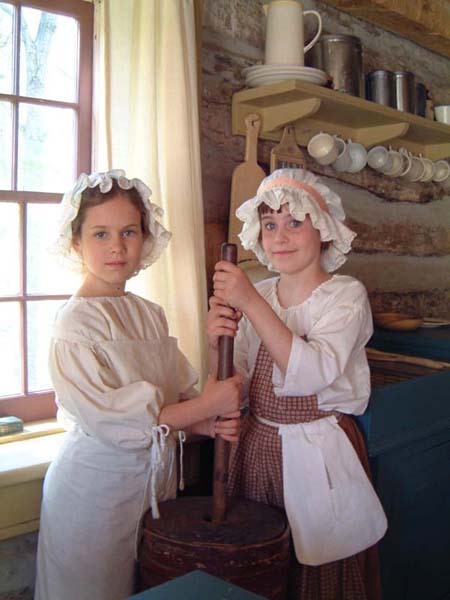 Powdered milk being dry lasts a long time. Even butter if kept cool can have long storage. Milk can also be made to last by turning into cheese. Certain bacteria and molds convert the milk to cheese and in doing so create acids that kill the microbes that would spoil the milk or cheese. Making wine uses a similar strategy. 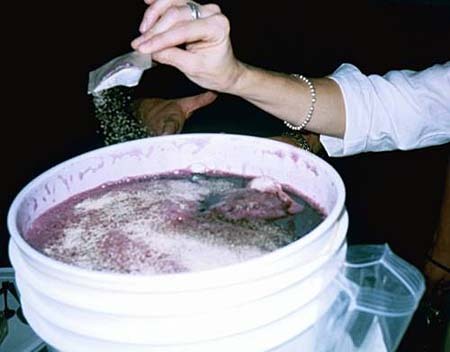 Yeast is added to grape juice. 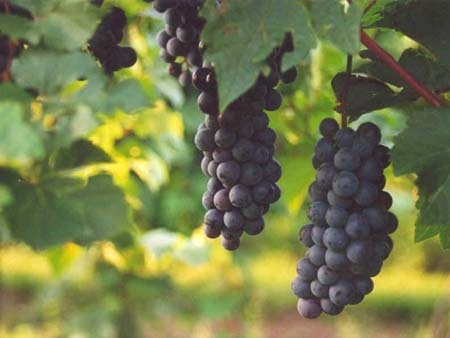 When the yeast digests the sugars in the grape juice, its byproduct is alcohol. Alcohol kills other microbes that would spoil the grape juice. So the grape juice is preserved in the form of wine. If air gets to the wine when it is aging, another bacteria called Acetobacter begins to grow and it will convert the alcohol to acetic acid (vinegar). Vinegar means "sour wine". 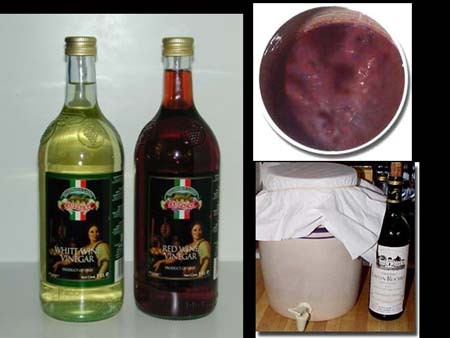 In the upper right of the image, you see Mother of Vinegar, a slimy collection of bacteria (including acetobacter) that converts wine to vinegar. 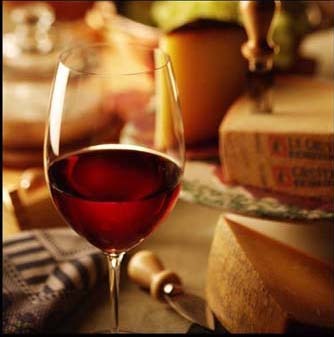 Even though this is bad for the wine, the vinegar formed can be used to preserve other foods. Vinegar is used to "pickle" other foods. Cucumbers that are pickled are called pickles, of course. 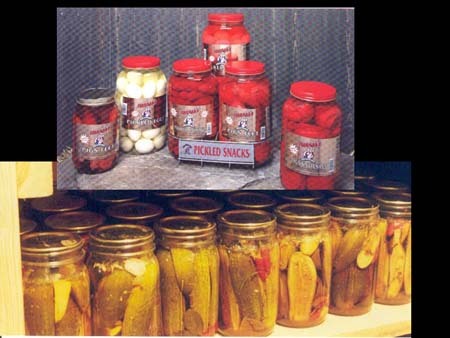 But pigs feet, pig knuckles, eggs, and other foods can also be pickled with vinegar. In vinegar these foods last a long time because vinegar kills microbes. Hot peppers are also known to kill microbes. 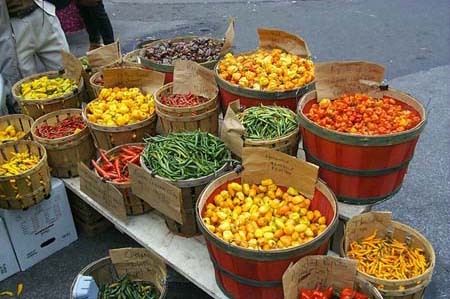 Food prepared with peppers have a longer shelf life. 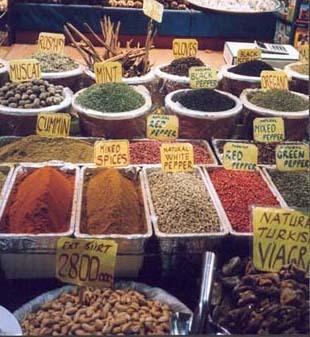 Even in Middle-Age Europe, it was well-known that spices provide important preservation qualities. The most effective antimicrobial spices include garlic, onion, cinnamon, cloves, thyme and sage. 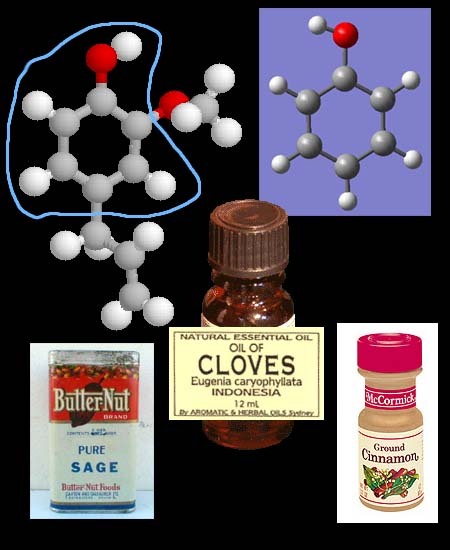 Cloves contain the oil eugenol also present in sage and cinnamon. 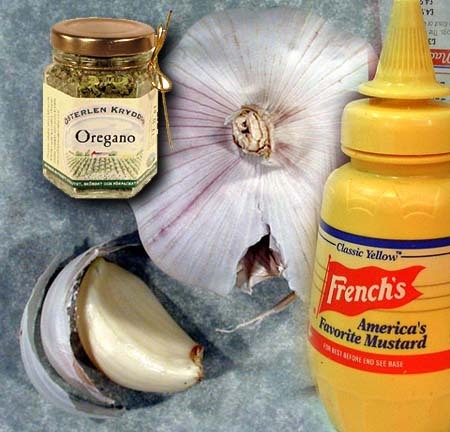 Allicin, present in garlic, also acts as an antimicrobial agent, as does the allyl isothiocyanate present in mustard. Thymol, present in thyme, oregano and sage, is also noted for its antimicrobial properties. Research at Kansas State University, Manhattan, has shown that cloves have a high antimicrobial effect against E. coli in ground meat. Cinnamon, garlic, oregano and sage were also shown to be effective. 60 people die each year from E. coli. 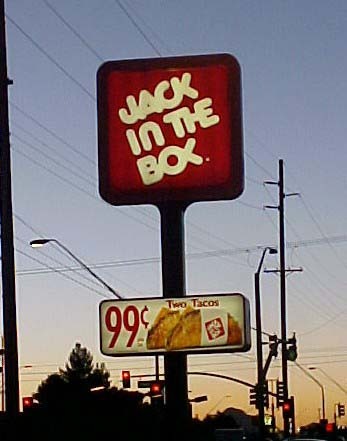 "More than 600 people got sick in January 1993 from eating undercooked Jack in the Box hamburgers contaminated with E. coli, a bacterium that can cause diarrhea, abdominal pain and, in severe cases, kidney failure and even death. Most of the victims were children living in Washington state; four of them died." Most people think of soy beans as a health food. However, it contains chemicals that are antinutritional, in other words interferes with the proper absorption of vitamins and nutrients. Some researchers say the ancient Chinese did not eat unprocessed soy beans. 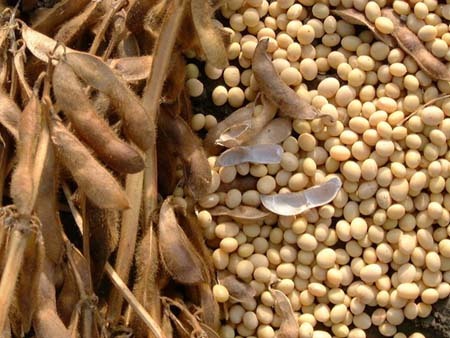 They treated the soy beans in ways to extract or neutralize the antinutrients. The antinutrients were handled in two ways. Fermentation is a process where microorganisms breakdown sugars and starch in the food to produce ethyl alcohol (drinking alcohol), lactic acid (found in yogurt & cheese), and other compounds. 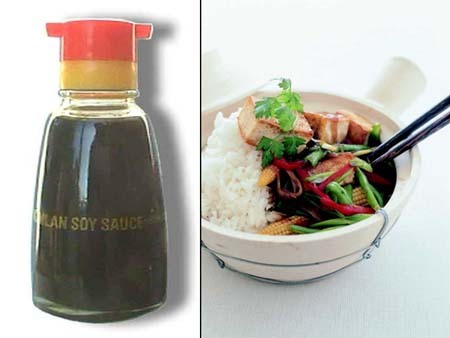 Soy sauce is from soybeans that undergo fermentation from mold, yeast, and bacteria. The traditional process takes about 6 months and was developed over 4,000 years ago. These microorganisms add additional proteins to the soy beans and destroys some of the antinutrients. Tofu from soybeans is another process that separates the antinutrients from nutrients. It begins with soybeans being soaked, then mashed, then made into a slurry. The slurry is filtered, which traps the solid particles, but lets soymilk pass through. The soymilk is treated with either lemon juice or a salt like magnesium chloride or calcium sulfate. This causes the soymilk to curdle. The curds are what is pressed into tofu blocks. The liquid portion (whey) is not kept for consumption (the antinutrients are here). This process of increasing the nutrient value of soybeans is about 2,000 years old. 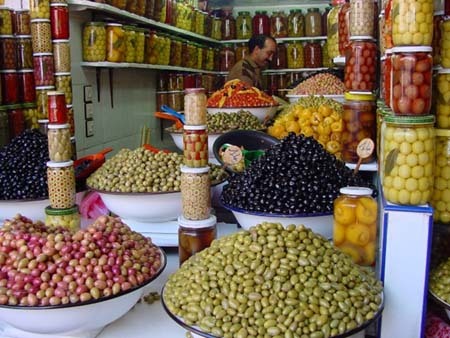 Olives are another food that are made edible through chemistry. If eaten from the tree, they are incredibly bitter. To make them edible, they are soaked in water, salt water (called brine), or water that is made alkaline. The soaking is for weeks or months. 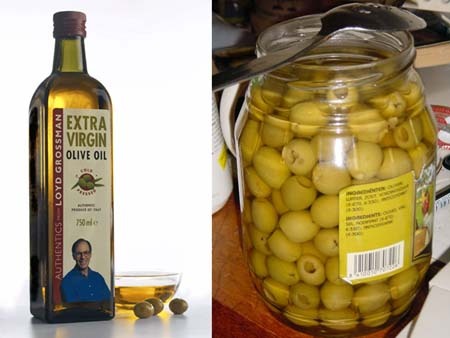 Using just a little chemistry to extract the chemical that makes olive bitter, we can enjoy a variety of olives and olive preparations. 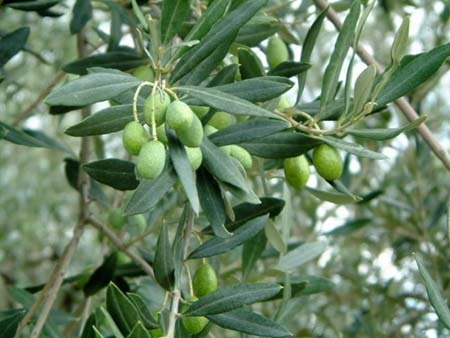 Instead of making the olive edible by extracting the bitterness, extracting the olive oil may be the goal. Extra virgin olive oil means the extraction of oil is done by squeezing and without the use of heat or chemicals. Historically, olive oil was extracted from olives by crushing them first. 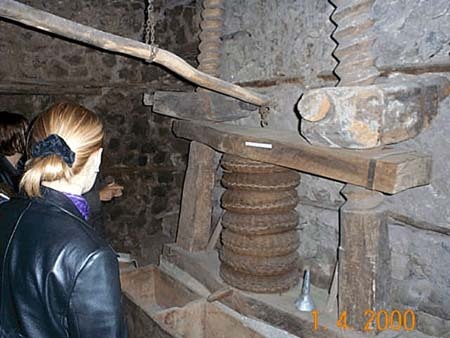 This big stone had been used for centuries and is still being used for crushing the olives. 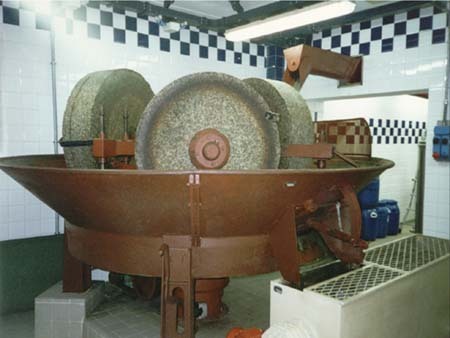 The crushed olives were placed in round woven sacks that were then squeezed with a large press. The olive oil would squeeze out of the sacks and run into the trough below. 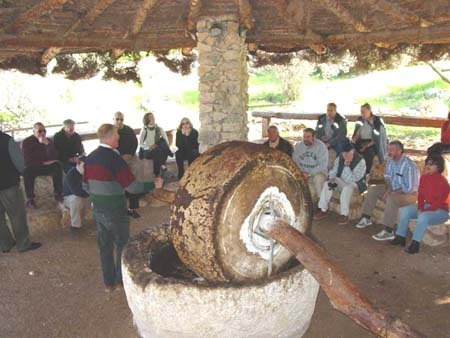 On a smaller scale, this carved rock was used to crush olives and collect the olive oil. Olive oil provided much needed calories for the ancient Greek people. It has also been shown to have many other health benefits. In modern factories, the approach is similar. Large stone wheels crush the olives, and the olive oil is drained off. In summary, ancient people through trial and error found ways to make food last longer and make plants or animals that were not edible, edible. They didn't understand the full chemistry behind their success, but they were learning and applying chemistry. Population Growth & Migration: Stone tools helped humans hunt for food. Pottery gave them containers to store food, and preservation methods kept the food in the pottery from spoiling. This extra stored food allowed survival through harsh winters or when travelling through areas without food. 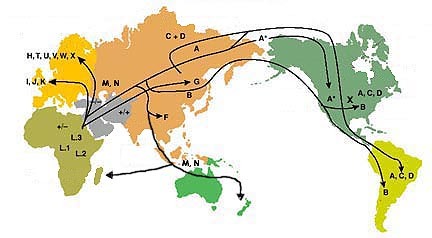 The map shows human migration out of Africa into colder climates. 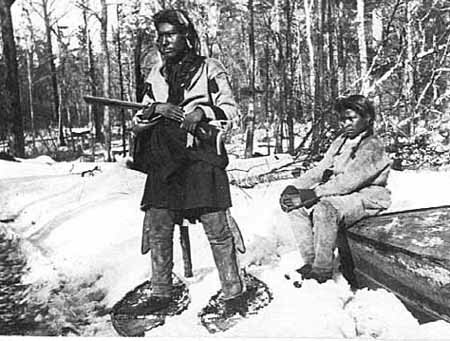 Being able to stockpile food for the winter allowed many societies to survive in the harsher climates. Humans would likely not been able to migrate to all parts of the world if they hadn't figured out how to store and preserve their food. One might argue this a positive impact for societies but a negative impact on the planet. 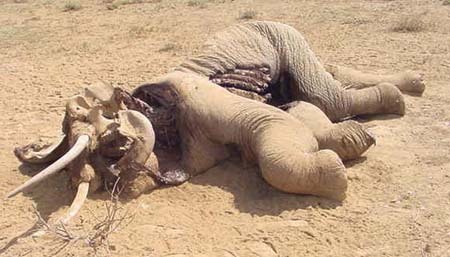 The preservation of food had little impact on the environment. 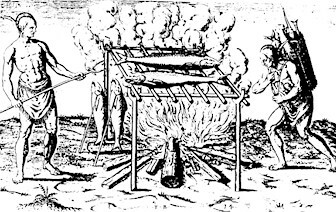 Cooking or smoking of food using wood fuel would have caused some air pollution especially in the larger settlements. Some of the processes for preservation were not fool-proof. Processes like churning butter if not done well can result in butter with pockets of water that would encourage bacterial growth. Fermentation methods that utilized good bacteria, mold, or yeasts could get contaminated by unhealthy bacteria, mold, or yeasts. 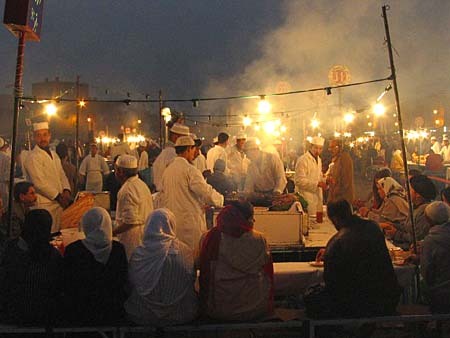 All methods of preserving food comes with some inherent risk due to microbe contamination or decomposition of the food. 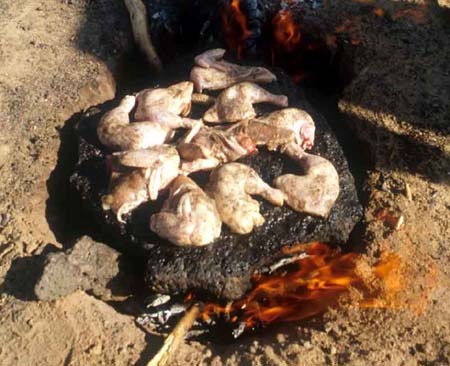 For the most part, the solutions that chemistry presented for food preservation did not have an adverse effect on these early societies or environment. The basic principle for preserving foods is to create an environment that is not favorable to microbes. Since most living things need water to survive, the removal of water from food is a good way to prevent spoilage. Dehydration is the process of removing water from foods. Cooking is a fast way to remove water plus it kills bacteria that might be in the food. 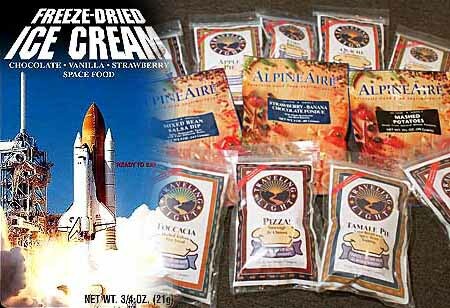 When all water is removed, like these freeze-dried foods of ice cream, pizza, lasagne, tamales, etc., the food will last a long time without refrigeration. The containers are also airtight to keep out moisture and bacteria. 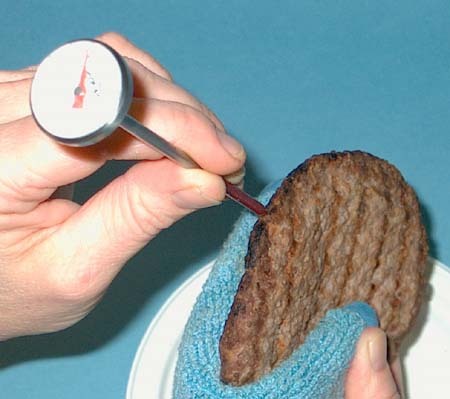 These are not dried with heat, but with a vacuum. Even ice evaporates some, and in a vacuum it evaporates much faster. Spices contain essential oils that have antimicrobial properties. Many of these oils are derived from a compound called phenol. In the upper right of the picture, the 6 gray balls are carbon atoms. The small white balls are hydrogen and the red ball is oxygen. This molecule is called phenol and is used as an antiseptic and disinfectant. In plants, additional compounds are bonded to the phenol to produce a wide variety of chemicals many of which are antimicrobial. The other molecule shown is eugenol, which is an essential oil found in cloves, sage, and cinnamon. It has good antimicrobial properties. The circled part of the molecule shows that phenol is part of its makeup. Most microbes have difficulty living in water with alcohol present. 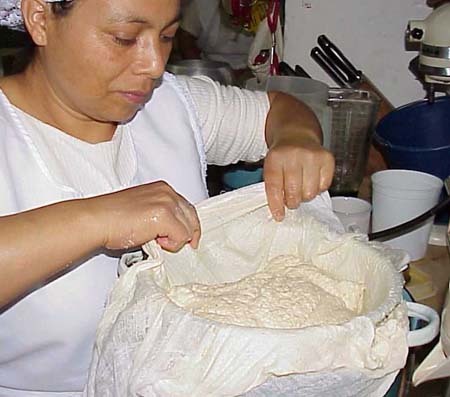 Yeast, which produces it, is more tolerant. How alcohol kills bacteria and viruses isn't confirmed, but it is believed that the alcohol alters the shapes of proteins, enzymes, and DNA in the bacteria and perhaps dissolves some of the membranes. 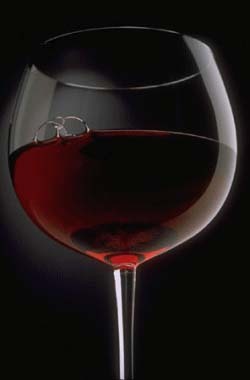 Because of the alcohol, wine is much saver to drink than water in most parts of the world. Certain bacteria and molds are used to convert milk to cheese. 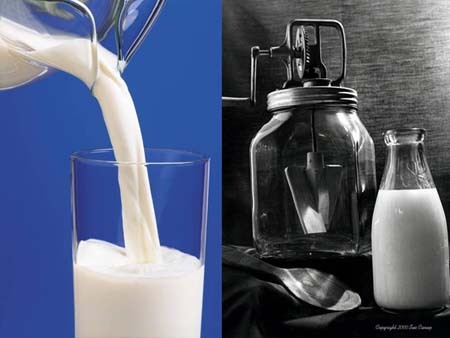 At first, however, milk needs to be curdled so the solid part separates from the liquid. This is accomplished by enzymes removed from the fourth stomach of a calf. Some added bacteria converts the lactose sugar in the milk to lactic acid. 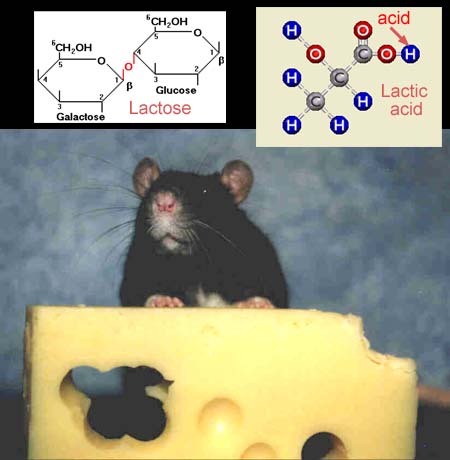 The lactic acid kills other microbes, which is how cheese gets preserved. The blue hydrogen atom comes off easily and that's the acid that kills other microbes. Molds breakdown fats and proteins. Reducing the amount of fat helps the cheese store longer, too. We need our pottery to keep the mouse away from our cheese.